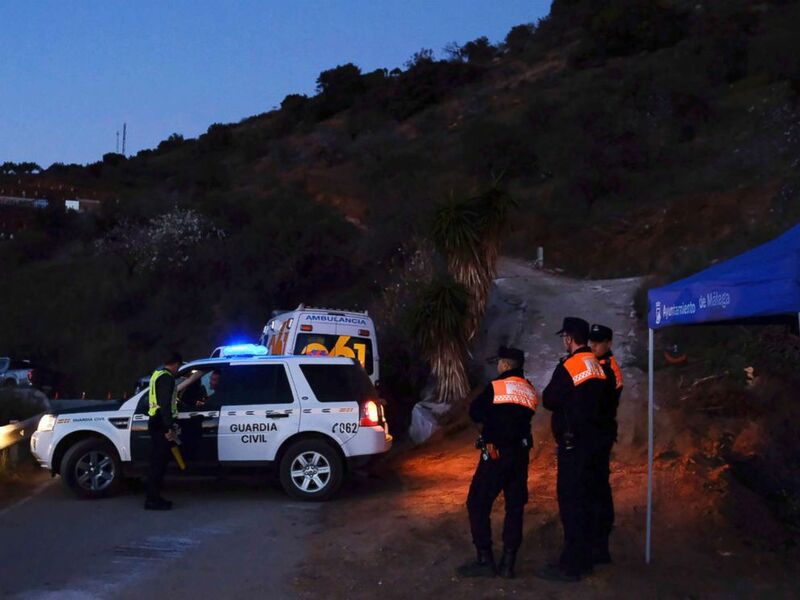 DNA of a toddler who fell down a well outside the southern Spanish city of Malaga has been found, giving rescue teams hope they are now closer to finding him. 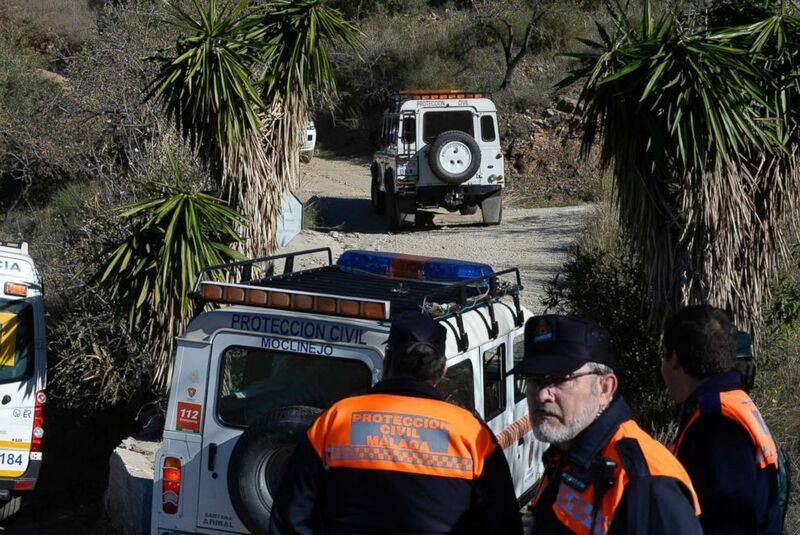 Two-year-old Julen Rosello fell down the borehole, which is more than 300 feet deep, on Sunday when he wandered away while visiting a cousin’s boyfriend’s property. From just a few feet away, his family hopelessly watched the boy fall in and attempted to rescue him immediately, but they didn’t realize how deep it actually went down. After days of searching, on Wednesday, Spanish rescuers said they found hair of the boy in a deeper section of the well, confirming he had been inside. The emergency team is unable to enter the hole, which is only 10 inches wide, but machinery and surveillance equipment have reached the area they suspect the boy might be in, according to the Associated Press. Emergency team members look for a boy fell into the 100-meter-deep waterhole in a mountainous area near the town of Totalan in Malaga, Spain, Jan. 14, 2019. “We are working with all means and institutional cooperation. We hope to soon be able to give good news,” Spanish Interior Minister Fernando Grande-Marlaska said in a press conference on Tuesday. “We understand the anguish, but we have the maximum confidence in resolving it in the best way,” Ana Botella, Spain’s secretary of state security, said during the press conference. 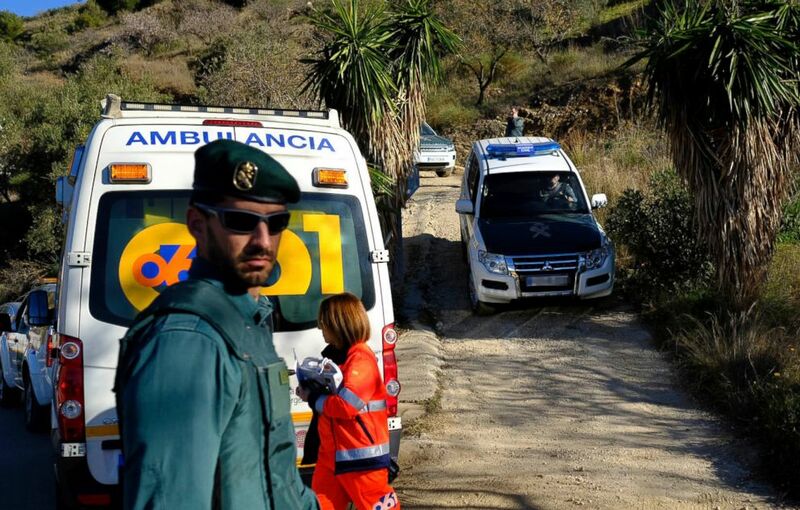 Emergency services look for a 2 year old boy who fell into a well, in a mountainous area near the town of Totalan in Malaga, Spain, Jan. 14, 2019. In an interview with Spanish newspaper Sur, Julen Rosello’s father, Jose, explained how the incident unfolded. Vicky, the boy’s mother and Rosello’s wife, had been with the boy as Rosello cooked lunch. She asked Rosello to keep an eye on the boy, who was only 16 feet away from him, while she made a call to work. As Rosello grabbed additional wood for the fire, he said, the boy wandered off. Rosello’s cousin ran after the boy, worried he would stumble. Before she could reach him, however, the toddler fell through a hole that had been weakly covered by rocks, Rosello said. “I pushed the rocks aside and stuck my arm inside, all the way up to my shoulder, resting my head against the ground because I didn’t know how deep the well was and I thought he was closer,” Rosello told Sur in Spanish. “I heard him cry. All I could say to him was, ‘Stay calm, Dad is here and your little brother will help us,'” Rosello said. The family reportedly lost a son in 2017, a 3-year-old who died suddenly. A private Swedish boring company was summoned to assist in the rescue operations, digging a new tunnel as Spanish miners manually dig the ground, according to the Associated Press.